Equine dentistry has become a very sophisticated science. Gone are the days when the horse shoer would float the teeth with the hoof rasp. 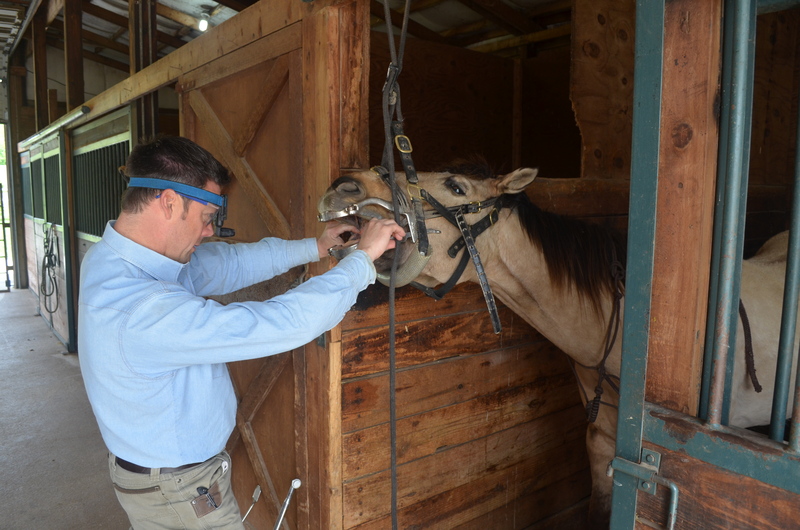 There are now veterinarians that specialize in equine dentistry. Non-veterinarian equine dentists must attend specialized schools and be supervised by veterinarians in order to work as an equine dentist in the state of Missouri. The tools of the trade can fill a truck, and include specialized mouth speculums and numerous power-tools. A horse should have his first dentist visit as a yearling. Catching potential problems early in life can prevent life threatening conditions later. 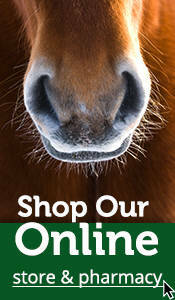 Having a dental performed on your horse every year will keep his teeth working properly and wearing correctly. Horse teeth are different from human teeth in that they slowly emerge from the tooth socket as the horse ages. This allows for the teeth to be worn down by the abrasive feed that they eat. However, if the teeth wear unevenly, the chewing motion and tooth growth can result in damage to the teeth that becomes progressively worse with time. The sharp points that develop on the edges of the teeth as they wear can cause damage to the sensitive tissues of the cheek and tongue. Behavioral issues can result due to pain as the bit and bridle cause pressure to sore areas in the mouth.